SKU: ZAA-000. Category: Shop Salam. – Thyme with tea (hot/ or cold drink) it gives great taste and aroma. as a paste and spread on bread as appetizer. for meat,fish , pizza , stuffing and vegetables. Thyme is a Natural herb free from additives and free from Cholesterol. It grows in Palestine and other Mediterranean countries with some belief it makes the mind and body strong and alert. THYME is a healthy spice blended with roasted sesame seeds, sumac, and a touch of lemon. It is commonly used in Palestine and other countries as a breakfast and as appetizer all day long with olive oil and fish-baked bread. It enhances the flavor and gives great taste when used on tomato, fish,meat,eggs and cheese. 2.Lower Blood Pressure: A recent study found that Thyme significantly contributes to reducing the heart rate in patients with high blood pressure. 3.Calm Cough: By soaking in boiling hot water Thyme is known to calm the cough, and sore throat. It also reduces stress and anxiety. Boost the immune system: Thyme is a good source of vitamin C, vitamin A, and manganese which strengthen the immune system. Cleanse and Purify the Air: Thyme contains “Thymol” which is effective in the elimination of viruses. 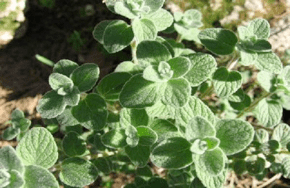 Bad Breath: Thyme gives you fresh breath for hours. Disinfectant for the Digestive System: Thyme contains a huge amount of vitamins and antioxidants which cleanace the stomach and facilitate the digestion process and reduces flatulence. Our Salam Zaatar is from the West Bank. Enjoy the aroma , the ingredients and its health benefits.